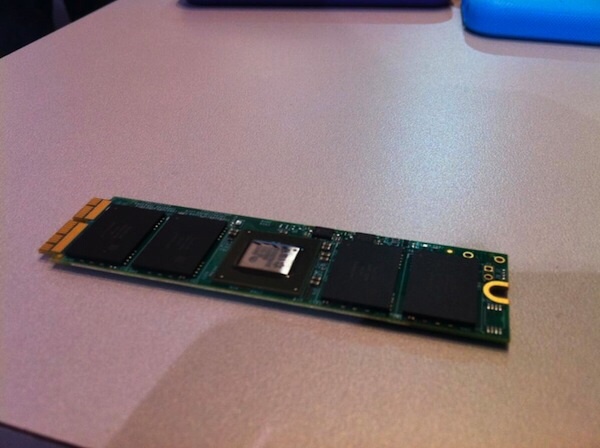 At CES 2014, OWC offered an early look at its upcoming PCIe SSDs for the MacBook Pro with Retina display 2013, MacBook Air 2013, and Mac Pro 2013 models. AnandTech notes that "OWC will be producing these drives with the right proprietary connector for all of Apple's 2013 Macs with PCIe SSDs. We'll see x2 and x4 versions, just like what Apple offers today. As with other SF3700 vendors, we'll likely see Toshiba 19nm NAND used although OWC reminded me that they still buy some Micron NAND." Unfortunately, we probably won't see these until Q3; however, they will likely retail for less than Apple's upgrade cost.